Intracerebral hemorrhage (ICH) is a stroke subtype that is associated with high mortality and disability rate. 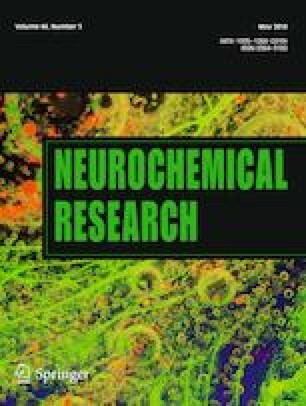 Mitochondria plays a crucial role in neuronal survival after ICH. This study first showed that activation of adiponectin receptor 1 (AdipoR1) by AdipoRon could attenuate mitochondrial dysfunction after ICH. In vivo, experimental ICH model was established by autologous blood injection in mice. AdipoRon was injected intraperitoneally (50 mg/kg). Immunofluorescence staining were performed to explicit the location of AdipoR1, AMP-activated protein kinase (AMPK) and peroxisome proliferator-activated receptor-γ coactivator-1a (PGC1α). The PI staining was used to quantify neuronal survival. The expression of AdipoR1 and its downstream signaling molecules were detected by Western blotting. In vitro, 10 μM oxyhemoglobin (OxyHb) was used to induce the neuronal injury in SH-SY5Y cells. Annexin V-FITC/PI staining was used to detect the neuronal apoptosis and necrosis. Mitochondrial membrane potential (Δψm) was measured by a JC-1 kit and mitochondrial mass was quantified by mitochondrial fluorescent probe. In vivo, PI staining showed that the administration of AdipoRon could reduce neuronal death at 72 h after ICH in mice. AdipoRon treatment enhanced ATP levels and reduced ROS levels in perihematoma tissues, and increased the protein expression of AdipoR1, P-AMPK, PGC1α, NRF1 and TFAM. In vitro, the JC-1 staining and Mito-tracker™ Green showed that AdipoRon significantly alleviated OxyHb-induced collapse of Δψm and enhanced mitochondrial mass. Moreover, flow cytometry analysis indicated that the neurons treated with AdipoRon showed low necrotic and apoptotic rate. AdipoRon alleviates mitochondrial dysfunction after intracerebral hemorrhage via the AdipoR1–AMPK–PGC1α pathway. Jun Yu, Jingwei Zheng, and Jianan Lu contributed equally to the work. JMZ and ZFW are the principal investigators. JWZ and JY contributed to the study design, performance and manuscript draft. JWZ and JNL analyzed the experimental data revised the manuscript and polish the language. This study was supported by Basic Public Interests Research Plan of Zhejiang Province (GF18H090006) to Jun Yu; The Major Research and Development Project of Zhejiang Province (2017C03021) to Jianmin Zhang. All animal experimental protocols were in compliance with the Guide for the Care and Use of Laboratory Animals of the National Institutes of Health and were approved by the Institutional Animal Care and Use Committee of Zhejiang University.